Valentina Bissoli by Beppe Buttinoni for 708 Magazine from 708Magazine on Vimeo. 708: Last time we interviewed you, you stated that you were taking speech and acting classes. Where do you plan to use these new skills and why? 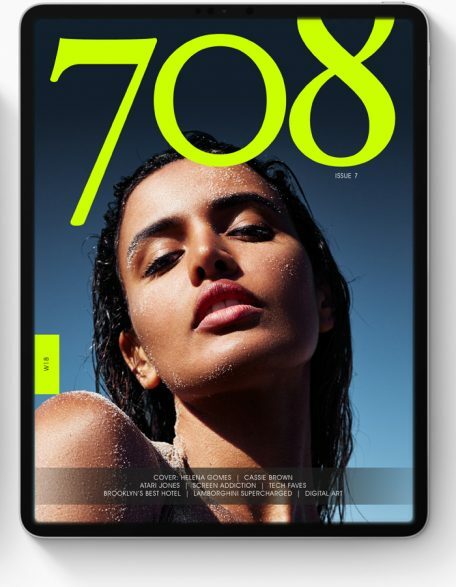 Valentina: First of all, thank you so much 708magazine for this interview, It’s a honor for me! Yes, I studied at the National Italian film school and I hope to work soon with a film director to use my new skills. I think my first time on a movie set will be a wonderful experience. The time is right and I can’t wait! 708:Do you think you will be able to land an acting role in an upcoming Bond movie? Valentina: Yes, of course! I’m perfect for that! Ahahah 🙂 Would be great if that really happened! A dream come true! 708:Have you seen the new movie, Wonder Woman? If so, how did you feel seeing a female actress, star and debut as a positive super hero? Valentina: I haven’t seen this film yet, but I will see it soon because I love super hero movies. I see Wonder Woman as a fantastic female actress. 708: Miami is a favorite vacation spot in the United States. Do you plan to visit any other areas within the states? Valentina: Yes, I also hope to visit Los Angeles soon but Miami is always in my heart. 708: Life in Milan seems very pleasant and enjoyable. What do you do to relax after a long day? Valentina: Yes, I like Milan and after a long day of work I go to the gym and then to the spa to relax. 708: Throughout the years we have watched your modeling & acting career grow. Would you create and star in your own reality show? Valentina: It’s not among my plans now, even though sometimes I watch reality shows and I am curious to know more about them. 708: As a model, people usually have a few favorite brands they would work with. Who are your top companies you would model for? Valentina: My first top company is Guess. I love this brand and I hope to work with them soon. I also love Intimissimi, Dolce e Gabbana, Swarovski, etc. 708: If you could model for any clothing brand, who would it be and why? 708: Your body is absolutely amazing! What is your workout routine and what advice would you give young women that look up to you? Valentina: Thank you so much! I work out every day and eat well. My advice is simple, work really hard in the gym and follow a healthy diet. 708: Do you like fast cars? If so, which cars and why?